Apple has confirmed to The Verge that it intentionally slows down older iPhones in an effort to conserve device battery health. The tech giant released the following statement to The Verge regarding the recent controversy. Reports emerged earlier this week via Reddit, indicating that Apple is intentionally slowing down older iPhones with depleting battery power, in an effort to conserve overall battery quality. iPhone users have been reporting for years that they’re experiencing slowdowns with older devices following the release of iOS updates, leading to conspiracy theories surrounding Apple intentionally throttling devices in order to encourage consumer to purchase the latest version of the iPhone. A group of Reddit users even went so far as to uncover proof that Apple is throttling processor speeds as the iPhone’s battery deteriorates over time through a variety of tests. Geekbench developer John Poole tracked the performance of the iPhone 6s and iPhone 7 over a specific period of time, coming to the conclusion that Apple’s iOS 10.2.1 and 11.2.0 are throttling the speed of both devices’ processors. In the case of iOS 10.2.1, an update Apple released to solve shutdown issues with the iPhone 6 and 6s, the update slows down the phone’s CPU to prevent the device from shutting down. 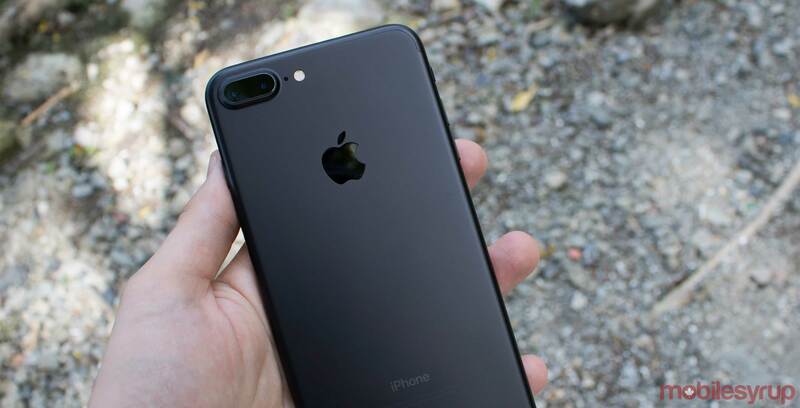 Poole reported similar findings with iOS 11.2.0 when it comes to the iPhone 7. Other reports indicate that replacing an iPhone 6s’ or 7’s aging battery instantly brings performance back to normal. “This fix will also cause users to think, ‘my phone is slow so I should replace it’ not, ‘my phone is slow so I should replace its battery,” says Geekbench’s John Poole, in a recent blog post. While Apple’s thought process behind slowing down devices makes sense to an extent, the tech giant isn’t doing itself any favours by not being transparent about the fact that it’s intentionally throttling devices with the goal of prolonging battery life. It would also be nice to see Apple be more clear regarding the benefits of replacing a device’s battery given how relatively inexpensive it is to do so. Update 10/29/16: Apple has released a statement apologizing for the controversy surrounding the company intentionally slowing down older iPhone devices.